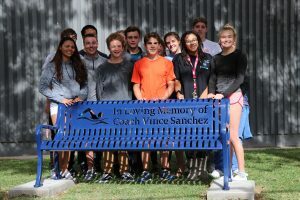 Monday afternoon, La Cueva High School dedicated a memorial bench in honor of former swim coach Vince Sanchez. 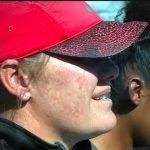 A group of about 50 people gathered to remember the man who’s life ended too soon at the age of 41. 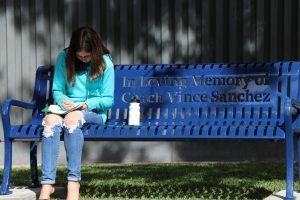 The bench reads “In Loving Memory of Coach Vince Sanchez”. 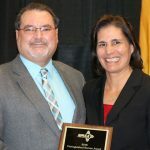 Sanchez was a former La Cueva swimmer himself and spent 16 years as the school’s head coach. “His legacy lives on in all of the swimmers he coached. Once a Bear, always a Bear!,” principal Dana Lee posted on social media.